As the kittens are growing I am trying to find food that is better for them. I bought them some store brand crunchy food, they ate it with no problems. Emily told me that GoCat has dry food for the indoor cat, it sounded good especially the part about keeping litter box smells down. If you have ever had a kitten you will know what I mean about that one, hits you about 30 seconds after they have vacated it. GoCat indoor sounded great. So I put it on my Asda delivery order. When my groceries arrive it sits in the hallway for the kittens to sniff through and check everything out. Otherwise they follow me into the kitchen and try to get to everything. If they sniff, they sit on their food table and watch me, makes life easier. This time they sniffed through everything and found the GoCat bag, they sniffed it and moved on. It was sealed so I didn’t think anything of it I put it on the kitchen floor and put the rest of the groceries away. 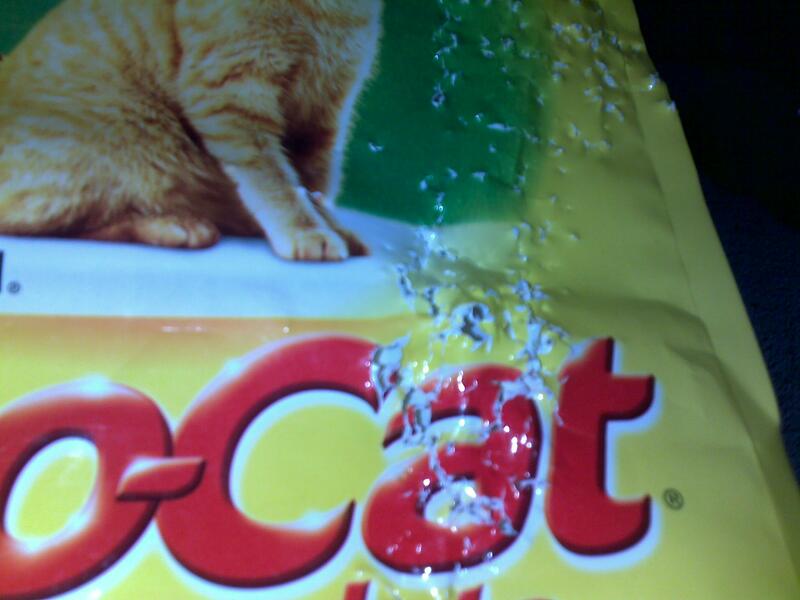 The next morning I walked into the kitchen and found the bag, clawed open and bits on the floor. Every morning assoon as I walk into the kitchen both Cleo and Alex jump onto their feeding table and Alex is very vocal about food. As soon as I fill their bowls up with more GoCat Indoor cat food, they munch away and are happy. This entry was posted in Cat and tagged GoCat, TerribleDuo. Bookmark the permalink.